4/28/2015, Jon Merryman Patapsco Watershed, River Rd, AA county, cleaned along River Road. 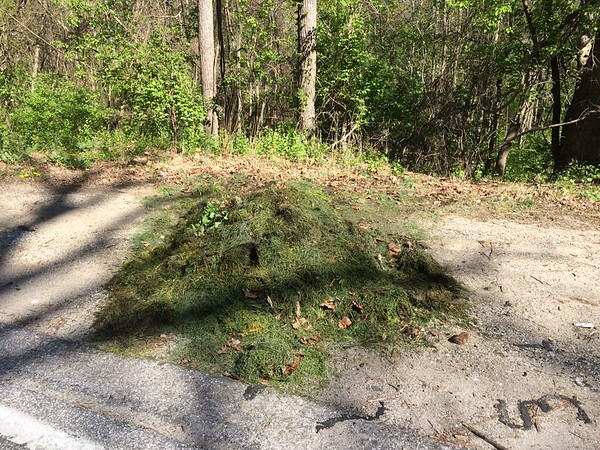 He gathered grass clippings and natural debris. Estimated weight 40 pounds. Weight not recorded due to yard waste.